Frugal Mom and Wife: Mrs. Cubbison’s Perfect Holiday $3,500 Sweepstakes! 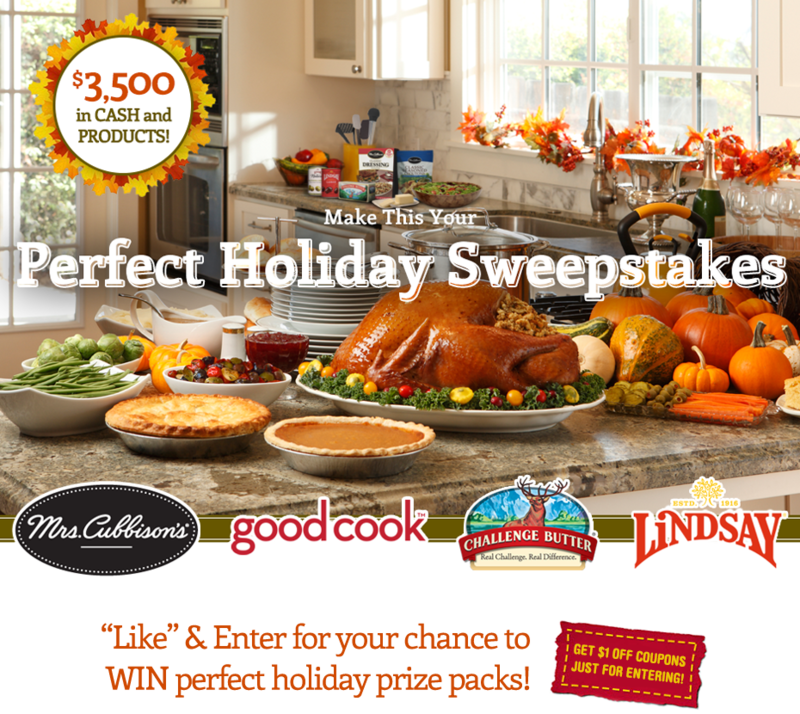 Mrs. Cubbison’s Perfect Holiday $3,500 Sweepstakes! Enter to be the Grand Prize winner of a Prize Pack valued at $3,500 and tons of other wonderful prizes. You could be a winner of bakeware to Mrs. Cubbison's products. Just for entering everyone gets to print (if you want) free high value product coupons!